This is from the periphery of Coney Island. I’m not sure if this ride is still there after the restructuring of the area in an attempt to revitalize it. With the how crowded it gets on summer nights I’m not sure how much more revitalized it could afford to get. We’ve all been on rides like this at the fair. It’s a fairly basic ride. You spin around, usually backwards, and loud music blares. 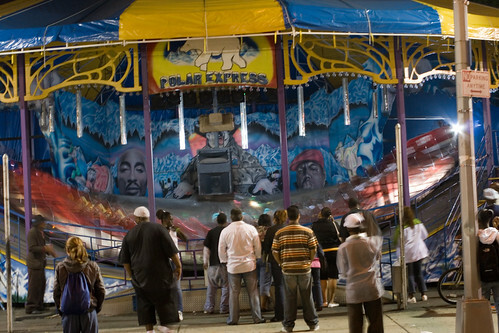 I used to always ride the one at the state fair. Like most of the rides at Coney Island, I’ve never been on this one.